At Ardtaraig we are always keen to show off what you can do with our produce. Below you will find one or two suggestions to try, which we hope you will find delicious! This is one of our personal favorites and absolutely perfect for summer. We have prepared this as a starter in our photo, however we tend to mix this in a bowl like a salad and it is present at most Barbeques and outdoor meals we eat. It is also one of the first to dissapear! 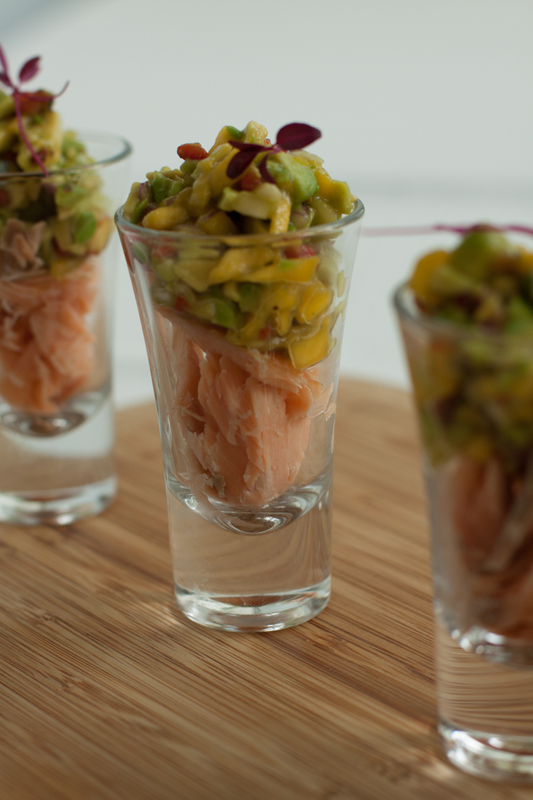 We have also prepared it in a really fun way with shot glasses, which is great for nibbles at parties. All that is required to make this delicious dish is some of our Hot Roasted Salmon, ripe avocados for guacamole and mangos to be finely diced. Then mix together and add seasoning to taste. 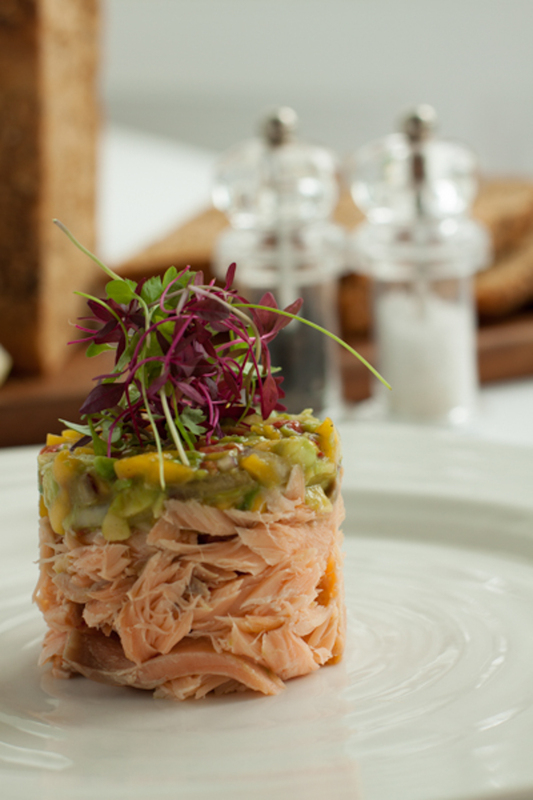 One of the classic combinations, completely indulgent and perfect witha nice glass of Champagne. This combination of flavours can be played with as well, if you dont want to use caviar, another more cost effective type of Fish Roe can be used with very similar results. Also using Créme Fraiche with a tiny amount of horseradish stirred into it can really add to the flavour. (Be careful not to use too much though!) As a finishing touch, a small sprig of Dill to go with the Dill & Mustard Sauce really adds to the flavour of this canapé too. 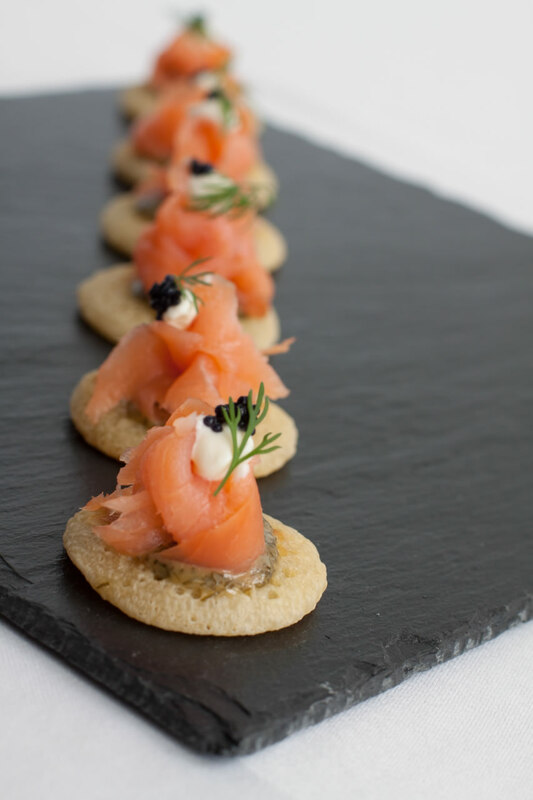 We offer Champagne and Salmon packages here or if you prefer to supply the Champagne here is a selection of our Salmon. 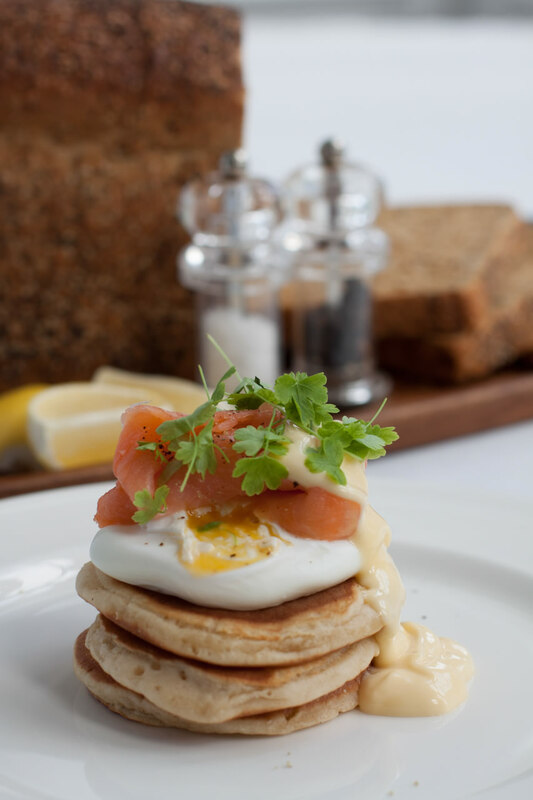 A slightly different take on Eggs Benedict, we love this combination of melt in the mouth Smoked Salmon, rich and creamy Hollandaise with warm and thick Scotch pancakes. This is a fantastic summer dish. Simple and elegant, but absolutley delicious! 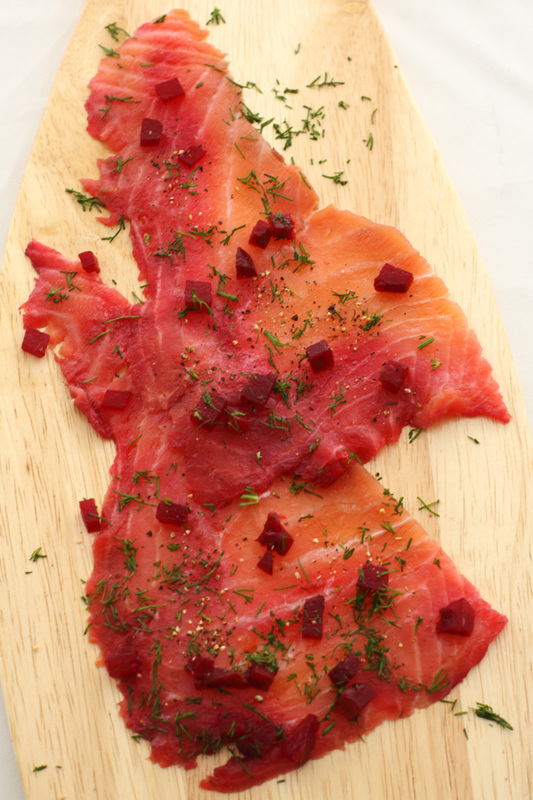 Click here to see our range of Beetroot infused Gravadlax. 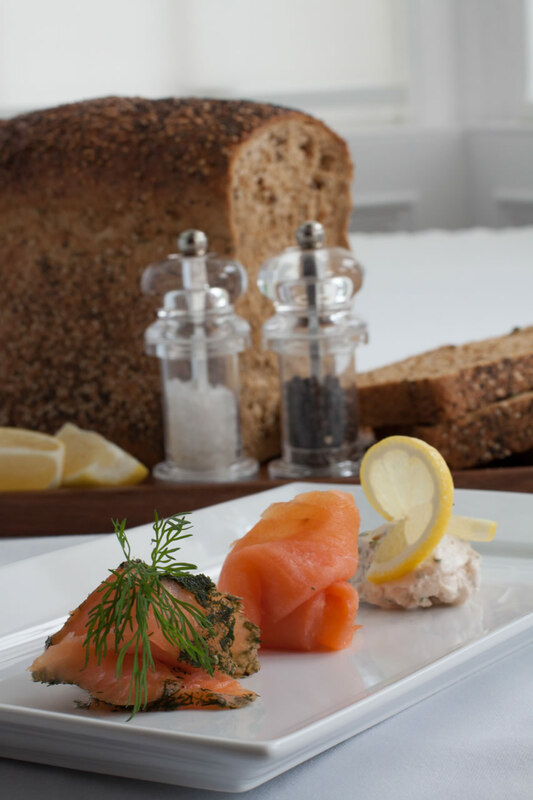 A delicious combination of our scandinavian style Gravadlax marinaded in Dill, Juniper and Molasses combined with pickled ginger and served with our trademark Dill & Mustard sauce. This makes a fantastic starter for spring/summertime. 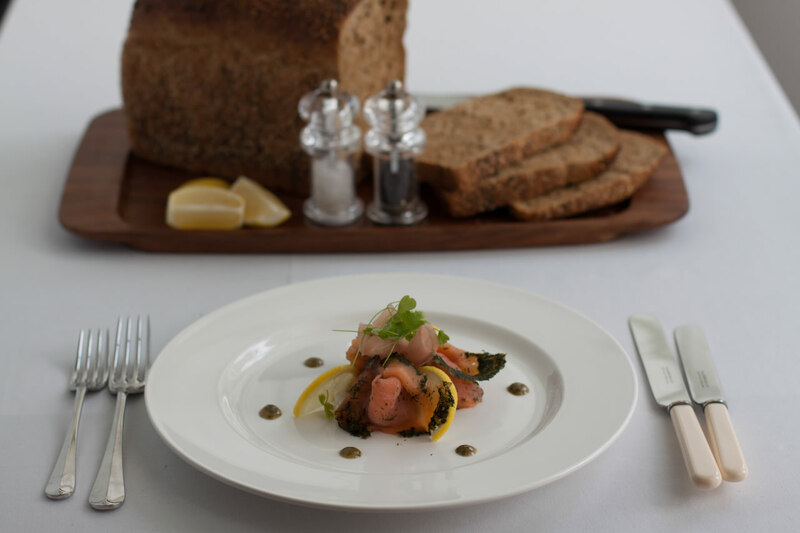 Click here to see our range of traditional Gravadlax.